Last weekend I took my final excursion with API (my study abroad program). Cádiz is located on the south western coast of Spain. That said, it takes about 4 hours to get there from Granada. 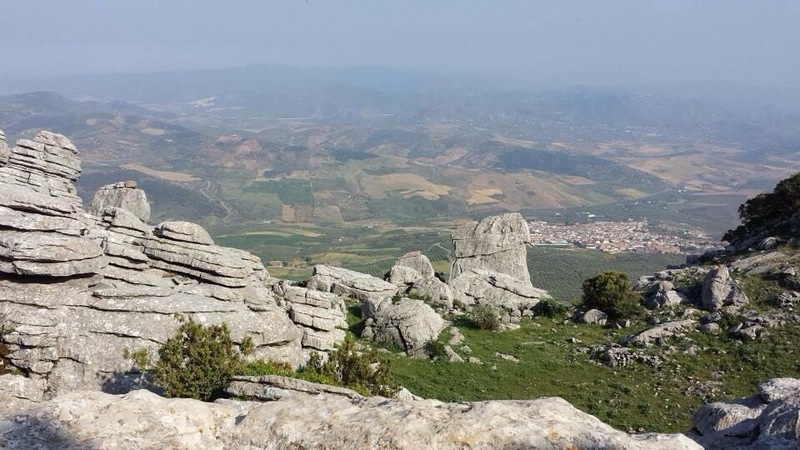 Because of that, we made a pit stop at “El Torcal” in Antequera, Málaga. 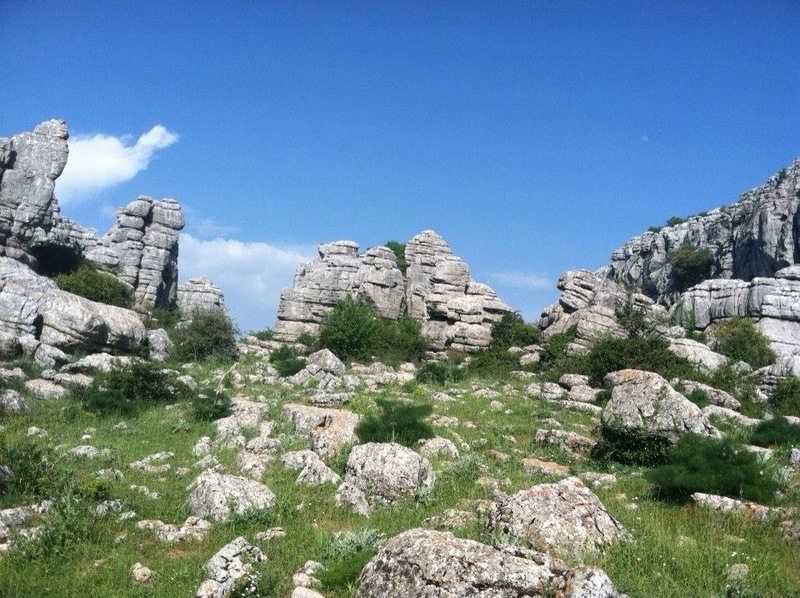 This place reminded me a lot of the Flintstones. We went for an hour long hike- just enough to get off the bus and move around for a bit. It was really a beautiful place and I wish we could have hiked the trail a second and third time. I also would have loved to climb the rocks, but we were given specific instructions: “No queremos ver ni una cabra hoy, chicos”. Our program coordinators did not want us being “goats” up in the rocks, climbing and jumping. This was tempting because..well..just LOOK at this place. A bit later, we finally arrived to our location. 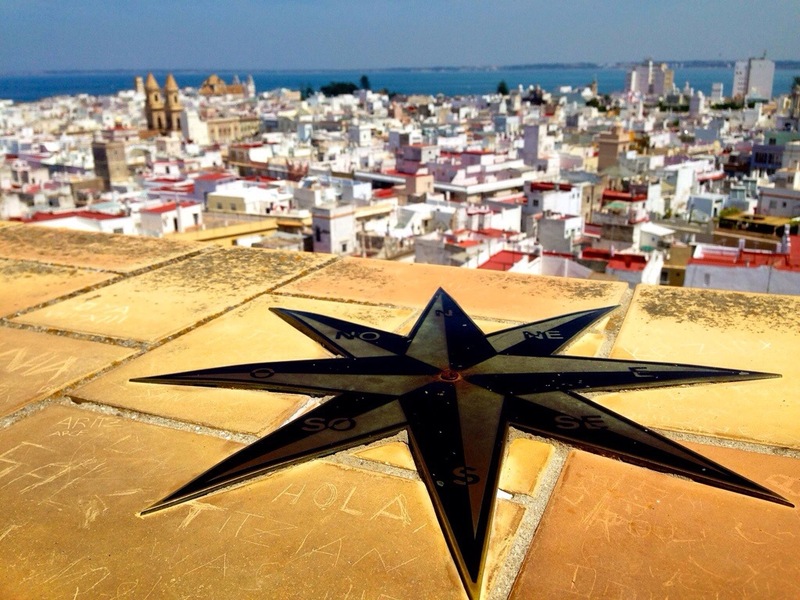 Cádiz is known for its beautiful beaches and rich history in trading goods before the discovery of America. We were able to stay in a beautiful hotel that was RIGHT on the water. Like the shore line was a 45 second walk from the doors. It was so beautiful, I wish we could have spent just one more day in the beautiful city. We spent a ton of time at this beach, but we also did some sight seeing and touring. One of my favorite things that we did was go to the Torre Tavira (The Tavira Tower). It is one of 130 towers in Cádiz. There are so many because they used these towers to look out over the water to see if ships were coming to the shore. From the top of the tower, I could see so much. I know I am going to miss seeing spectacular views every single place I go. I hope to be able to find beautiful views like this one at home. The weather was perfect! It was super hot and the beach sand was soft and white. The water was cool, but refreshing and comfortable enough to swim. We spent the majority of one of our days jumping in the waves because they were huge! It reminded me of my childhood when my dad took my sister and I to Cape Cod. We would ride the waves toward shore on our bellies! The majority of API students were doing this exact thing all day–only we’re all in our twenties. It was a beautiful weekend, a perfect way to relax right before finals begin.